The Holy Eucharist with the Episcopal Ordination of Archdeacon Sonia Roulston and Archdeacon Charles Murry by the Bishop of Newcastle and other bishops will take place at Christ Church Cathedral this Thursday May 10. The Venerable Canon Sonia Roulston will become Assistant Bishop (Inland Episcopate) to exercise episcopal ministry in the Upper Hunter, Maitland and Paterson Deaneries as well as working closely with the Diocesan Ministry Council. The Venerable Charlie Murry will become the Assistant Bishop (Coastal Episcopate) to exercise episcopal ministry in the Central Coast, Lake Macquarie and Manning Deaneries as well as working closely with the Newcastle Anglican Church Corporation Board. 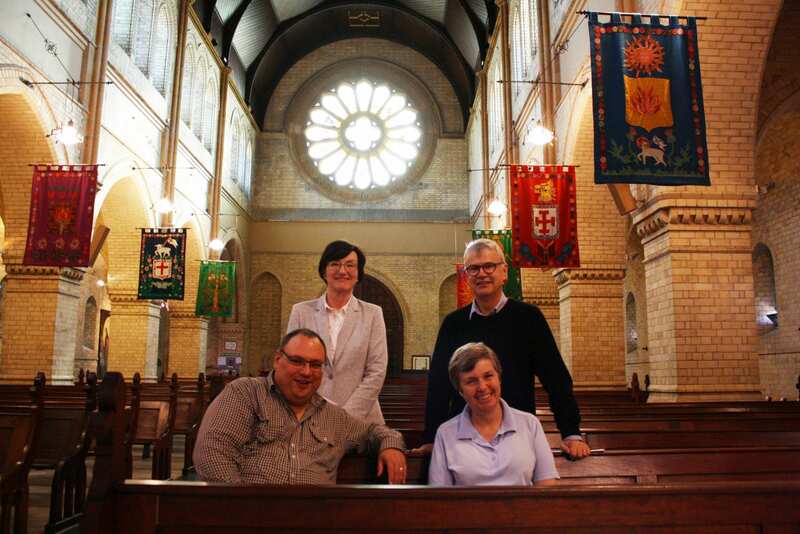 Archdeacon Sonia and Archdeacon Charlie are currently on retreat with retreat conductor, Bishop Alison Taylor and Fr Stephen Williams. Bishop Alison is the Assistant Bishop of the Diocese of Brisbane and will be preaching at the Episcopal Ordination. All welcome to join us for this historic occasion for the diocese.